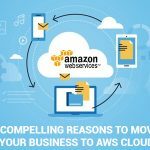 Software-as-a-Service (SaaS) applications are growing in their popularity owing to the flexibility they offer while being implemented to the organizations of all sizes. 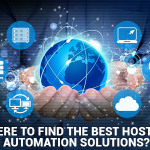 They eliminate the organizations’ need to buy, configure and manage all the required hardware on-premise. With SaaS implementation, all they really need to do is to ‘dial up’ or ‘dial down’ their IT resources to match their current business IT needs, while the services remain securely managed by a reliable external provider. Apart from the flexibility they impart, SaaS solution result in remarkable cost advantages. With these, there is no need anymore for a huge upfront amount to be paid as the capital investment to set up the new IT infrastructure and this comes down to as small an expense as the subscription charges for a package that suits to the organization’s IT needs based on its size and goals. This also helps the organizations effectively take care of the seasonal changes in the demand. The SaaS solutions when implemented properly, can prove to be supportive to the processes and the need for functional teams & this brings about exceptional efficiency to the organization. 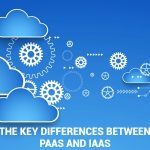 While implementing SaaS, however, there are multiple challenges an organization might have to face, especially when it comes to implementing SaaS to the legacy IT infrastructure of an organization. This is one reason why organizations hesitate to implement SaaS despite all its advantages. 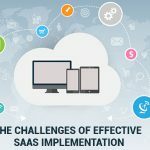 Here are the challenges faced by organizations at the time of SaaS implementations and how they can possibly overcome them to implement SaaS efficiently and reap most of the advantages they offer. 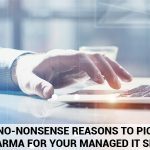 When we need to integrate SaaS into our existing IT systems, it can be particularly challenging because of the issues with the newly created organizational silos in terms of data processing and sharing of data across the organization. 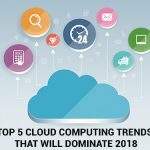 This can be more taxing if our legacy system had been developed prior to the times when SaaS and cloud based platforms made their way into the mainstream IT operations. 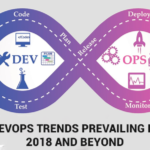 In such cases, syncing the data and processes across the legacy systems and the cloud platform based applications can be a complicated pursuit. 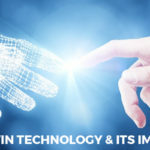 So, unless one can ensure perfect syncing between both, the sole purpose of implementing SaaS to achieve organizational efficiency can get easily lost. 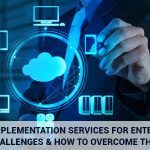 Considering the fundamental differences between the legacy IT systems and the SaaS applications, we should also understand that creating your SaaS implementation strategy is not just a matter of simply ‘lifting’ your on-premise systems and ‘shifting’ them on to the cloud platforms. 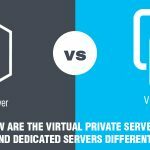 It requires much more than simply moving the resources from one data center to another one. Apart from considering the SaaS implementation services available, we also need to focus on our business goal out of the entire exercise and basically, which processes are we looking to improve on by implementing SaaS. Once you have identified all the issues that need to be addressed, it is easier to decide on the technology that’s a perfect match for it. Once you are sure about implementing SaaS, you need to assess all your existing applications to determine which all need to be shifted on the cloud platform and which all should remain at their place and whether any of those should be linked to a SaaS based application or resource. The APIs used, help the functionality and features of your existing applications to get linked to the cloud-based applications or resources just as needed. 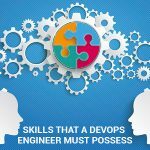 So, these APIs should be designed in such a way as to allow for secured access to the cloud based applications while maintaining the efficient sharing of the data and efficiency of the operational processes. 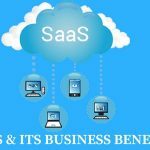 SaaS is a popular trend in technology which when adopted in the right manner with perfect planning can help you reap remarkable benefits for your business. We suggest you plan it well or have us help you with it.